NOTE: While we are discussing matters relating to the law, this post is not meant as legal advice. 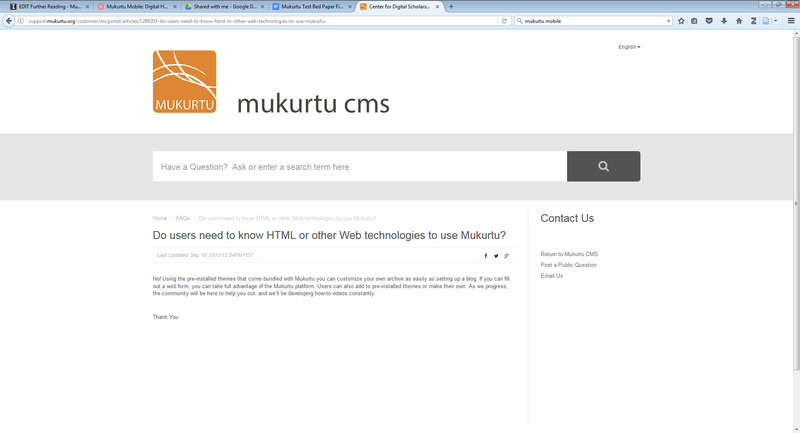 Fans of Mukurtu CMS, a digital archeology platform, as well as intellectual property nerds may already be familiar with Traditional Knowledge labels and licenses, but for everyone else here’s a quick introduction. Traditional Knowledge labels and licenses, were specifically created for researchers and artists working with or thinking of digitizing materials created by indigenous groups. Although created more educational, rather than legal value, these labels aim to allow indigenous groups to take back some control over their cultural heritage and to educate users about how to incorporate these digital heritage items in a more just and culturally sensitive way. The content that TK licenses and labels cover extends beyond digitized visual arts and design to recorded and written and oral histories and stories. TK licenses and labels are also a standard to consider when working with any cultural heritage created by marginalized communities. They also provide an interesting way to recognize ownership and the proper use of work that is in the public domain. These labels and licenses are administered by Local Contexts, an organization directed by Jane Anderson, a professor at New York University and Kim Christen, a professor at Washington State University. Local Contexts is dedicated to helping Native Americans and other indigenous groups gain recognition for, and control over, the way their intellectual property is used. This organization has received funding from sources including the National Endowment for Humanities, and the World Intellectual Property Organization. Traditional knowledge, or TK, labels and licenses are a way to incorporate protocols for cultural practices into your humanities data management and presentation strategies. This is especially relevant because indigenous cultural heritage items are traditionally viewed by Western intellectual property laws as part of the public domain. And, of course, there is a long and troubling history of dehumanizing treatment of Native Americans by American institutions, as well as a lack of formal recognition of their cultural practices, which is only starting to be addressed. Things have been slowly improving; for example, the Native American Graves and Repatriation Act of 1990 was a law specifically created to address institutions, such as museums, which owned and displayed people’s relative’s remains and related funerary art without their permission or the permission of their surviving relatives (McManamon, 2000). The World Intellectual Property Organization’s Intergovernmental Committee on Intellectual Property and Genetic Resources, Traditional Knowledge and Folklore (IGC) has began to address and open up conversations about these issues in hopes of coming up with a more consistent legal framework for countries to work with; though, confusingly, most of what Traditional Knowledge labels and licenses apply to are considered “Traditional Cultural Expressions” by WIPO (“Frequently Asked Questions,” n.d.). To see these labels and licenses in action, take a look at how how these are used is the Mira Canning Stock Route Project Archive from Australia (“Mira Canning Stock Route Project Archive,” n.d.). The main difference between TK labels and licenses is that TK labels are an educational tool for suggested use with indigenous materials, whether or not they are legally owned by an indigenous community, while TK licenses are similar to Creative Commons licenses — though less recognized — and serve as a customizable supplement to traditional copyright law for materials owned by indigenous communities (“Does labeling change anything legally?,” n.d.). The default types of TK licenses are: TK Education, TK Commercial, TK Attribution, TK Noncommercial. Each license and label, as well as a detailed description can be found on the Local Contexts site and information about each label is available in English, French, and Spanish. The types of TK labels are: TK Family, TK Seasonal, TK Outreach, TK Verified, TK Attribution, TK Community Use Only, TK Secret/Sacred, TK Women General, TK Women Restricted, TK Men General, TK Men Restricted, TK Noncommercial, TK Commercial, TK Community Voice, TK Culturally Sensitive (“Traditional Knowledge (TK) Labels,” n.d.). A TK Women Restricted Label. Wait, so is this a case where a publicly-funded institution is allowed to restrict content from certain users by gender and other protected categories? The short answer is that this is not what these labels and licenses are used for. Local Contexts, Mukurtu, and many of the projects and universities associated with the Traditional Knowledge labels and licensing movement are publicly funded. From what I’ve seen, the restrictions are optional, especially for those outside the community (“Does labeling change anything legally?,” n.d.). It’s more a way to point out when something is meant only for members of a certain gender, or to be viewed during a time of year, than to actually restrict something only to members of a certain gender. In other words, the gender-based labels for example are meant for the type of self-censorship of viewing materials that is often found in archival spaces. That being said, some universities have what is called a Memorandum of Understanding between a university and an indigenous community, which involve universities agreeing to respect the Native American culture. The extent to which this goes for digitized cultural heritage held in university archives, for example, is unclear, though most Memorandum of Understanding are not legally binding (“What is a Memorandum of Understanding or Memorandum of Agreement?,” n.d.) . Overall, this raises lots of interesting questions about balancing conflicting views of intellectual property and access and public domain. Thank you to the Rare Book and Manuscript Library and Melissa Salrin in the iSchool for helping me with my questions about indigenous and religious materials in archives and special collections at public institutions, you are the best! 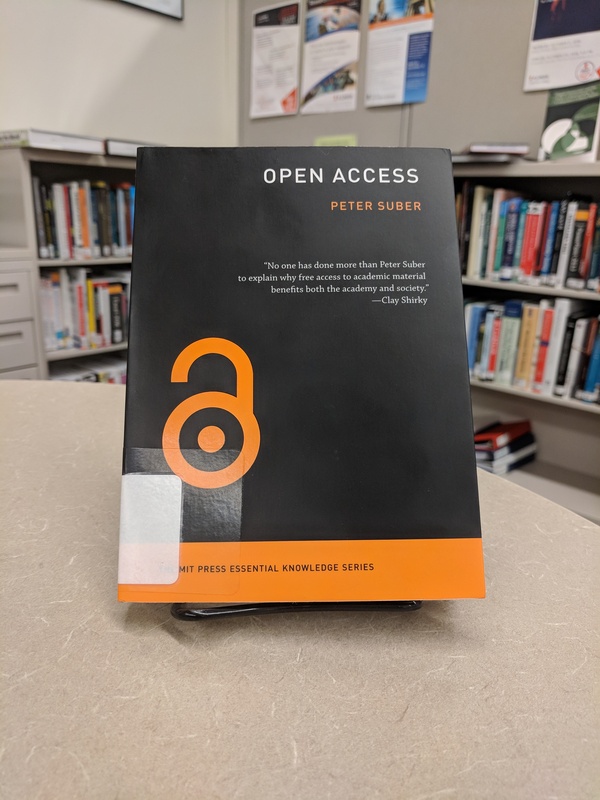 Open access (OA) works are, by definition, freely available on the internet. But in order for these works to be useful, we need an effective way to discover them. Library-based discovery systems generally gather information about a work’s “version of record,” that is, the article as published in a scholarly journal. And as most researchers know, most journals are subscription-based, which can serve as a barrier to access. 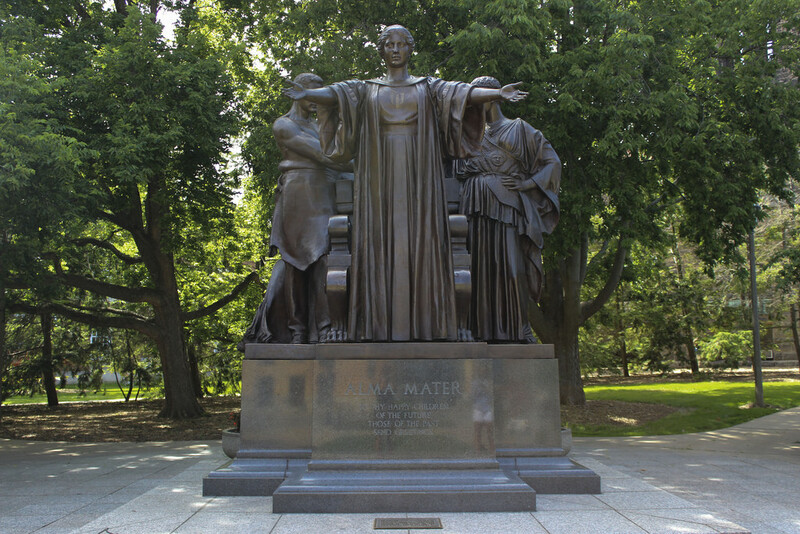 The University of Illinois Libraries’ house one of the largest library collections in the United States, but from time to time scholars may still come across electronic resources to which the Library does not have direct access. Colloquially, this is sometimes referred to as “hitting a paywall.” While the Library’s Interlibrary Loan service provides an excellent resource for obtaining access to materials outside of the Library’s collection, many “paywalled” articles are also available in OA versions.The problem is that discovery systems typically aren’t designed to get a user from a paywalled version of an article to an OA version. A new browser plug-in from Impactstory called Unpaywall aims to address this issue by pointing users to OA versions of paywalled articles, when available. When a user arrives at a webpage for an article, Unpaywall attempts to find an OA version of the article by searching through open repositories. If the plug-in succeeds in finding an open version, this is indicated with an opened lock icon on the side of the screen. Clicking on this icon takes you to a copy of the article. 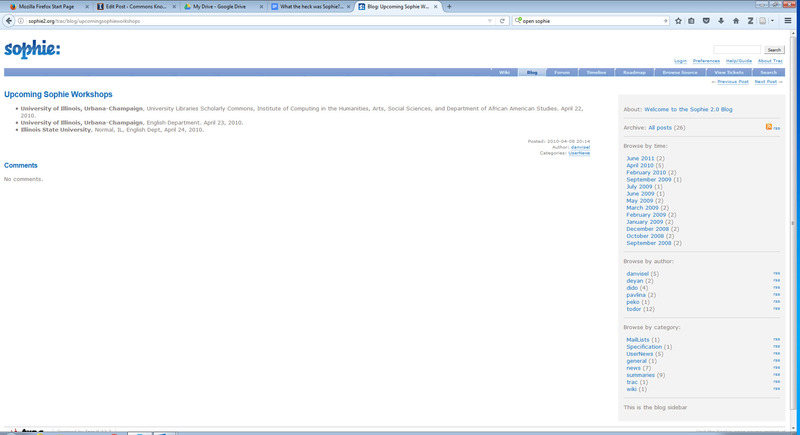 The circled green icon indicates that an open access version of the paper is available. In this case clicking the icon takes the user to a pre-print version of the paper that was deposited in arXiv. 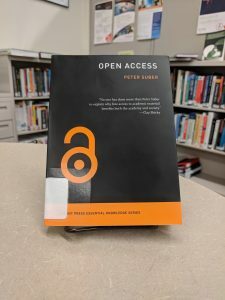 Unpaywall can also distinguish between articles that are Gold OA (articles available from the publisher under an OA license) and Green OA (articles on a preprint server or an institutional repository, like IDEALS). This information is indicated by the color of the opened lock icon (Note that this is an option that is not turned on by default). Unpaywall indicates that this article is Gold OA with a gold opened lock icon. Unpaywall claims that they succeed in locating open access versions of 65-85% of articles (When an open version is not found, this is indicated with a grey closed lock icon), though librarian blogger liddylib reports a 53% success rate when trying it out on Almetric’s Top 100 Articles of 2016. Nevertheless, Unpaywall seems dedicated to improving their software, as Jason Priem, one of the program’s developers, responded to liddylib’s blog post, reporting that they had improved the product to locate some Gold OA articles that had originally been missed. Unpaywall also encourages users to report bugs. 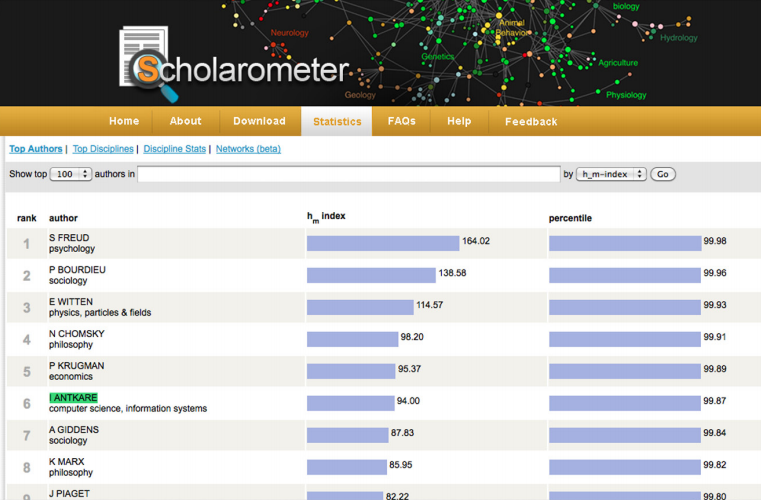 As mentioned above, Unpaywall locates full text OA articles by using data from oaDOI, another ImpactStory project. oaDOI indexes upwards of 90 million articles. relying on data sources like the Directory of Open Access Journals, CrossRef, DataCite, and BASE. It is important to note that the OA articles to which Unpaywall directs users have all been legally made available. This distinguishes Unpaywall from projects like Sci-Hub, which provide PDFs that are often made available through less credible means. Unpaywall is a brand new product, and so it is to be expected that some hiccups will occur. Nevertheless, it seems like a promising tool for helping more people get access to research by making open access resources more discoverable. The Scholarly Commons is a great place to write the next great American novel; in fact, I’m surprised it has not happened yet (no pressure dear patrons — we understand that you have a lot on your plates). 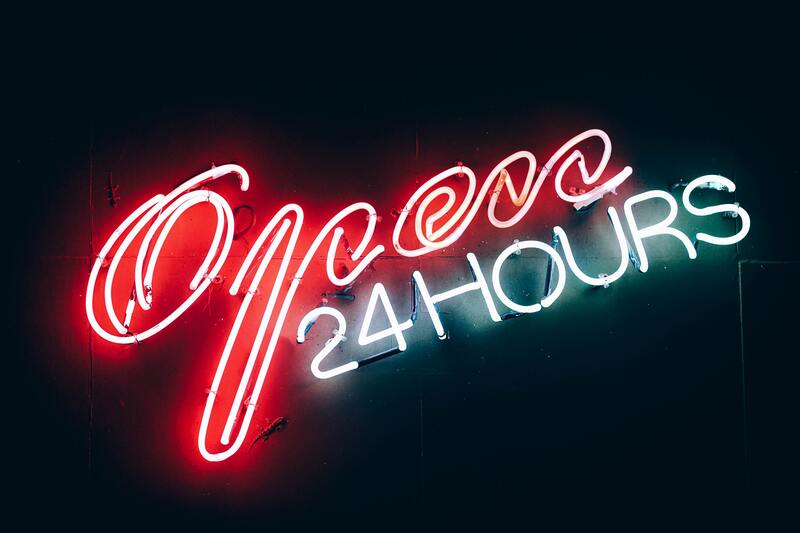 We’re open Monday-Friday from 9-6 and enjoy a well-lit, fairly quiet, and overall ideal working space, with Espresso Royale and the Writing Center nearby. But actually getting that writing done, that’s the real challenge. Luckily, we have suggestions for tools and software you can use to keep writing and stay on track this semester! Yes, MS Word can be accessed for free for University students through the Web Store and you can set it up to better address your research needs with features like the Zotero and Mendeley plugins to incorporate your references. And don’t forget you can go to Word > File > Options > Proofing > Writing Style and select Grammar and Style and Settings to set what Spellcheck will check for so that passive voice gets underline. However, believe it or not, there are word processors, other than MS Word, that are better for organizing and creating large writing projects, such as novels, theses, or even plays! Scrivener is a word processor created with novelists in mind that lets you organize your research and notes while you are writing. With an education discount, a license for Scrivener costs $38.25. Scrivener is very popular and highly recommended by two of the GAs here at Scholarly Commons (you can email Claire Berman with any questions you may have about the software at cberman2 [at] illinois.edu). To really get started, check out our online copies of Scrivener: An Absolute Beginner’s Guide and Scrivener for Dummies! Unfortunately, Mellel is only available on Mac. An educational license for the software costs $29. To some extent Mellel is similar in style and price to Pages for Mac, but also shares similarities with MS Word for Mac. However, this word processor offers more options for customizing your word processing experience than Pages or MS Word. It also provides more options for outlining your work and dividing sections in a way that even MS Word Notebook version does not, which is great if you have a large written work with many sections, such as a novel or a thesis! Mellel also partners with the citation managers Bookends and Sente. Ulysses is a simple and straightforward word processor for Mac, but you do have to write in Markdown without a WYSIWYG editor. It costs $44.99 for Mac and $24.99 for iOS. However, it has many great features for writers (such as built in word count writing goals for sections of a paper, and Markdown makes outlining work very easy and simple). We have discussed the value and importance of Markdown elsewhere on the blog before, specifically in our posts Digital Preservation and the Power of Markdown and Getting Started with Markdown, and of course, want to remind all of our lovely readers to consider doing their writing in Markdown. Learning Markdown can open up writing and digital publishing opportunities across the web (for example: Programming Historian tutorials are written in Markdown). Plus, writing in Markdown converts easily for simple web design without the headache of having to write in HTML. Freedom : costs $2.50 a month, so Freedom is not free, indeed. This is an an app that allows you to block websites and even the internet, available for Mac, Windows, iOS devices. This app also has a lock feature that will not allow you to make changes to what is blocked for a set period of time. RescueTime : another app option. Taking a slightly different approach to the rest here, the lite version of this app helps you track how you use your time and what apps and websites you use the most so that you can have a better sense of what you are doing instead of writing. The premium version, which costs $54 a year, allows you to block distracting websites. SelfControl: a Mac option but Open Source, with community built Linux and PC versions, and most importantly it’s free! This app allows you to block websites, based on their server, for a set period of time, in which there is basically NOTHING you can do on your computer to access these sites. So choose which sites to block and the time limit wisely. Named after Ernest Hemingway, this text editor is supposed to help you adapt his style of writing, “bold and clear.” When you paste your text into the free web version, the applet gives you the text’s reading level as well as pointing out instances of awkward grammar, unnecessary or complicated words and adverbs, and sentences that are too long or too complicated.There’s a Desktop version available for $20 though I honestly don’t think it’s worth the money, though it does give another simple space on your computer to write and get feedback. This is an alternative to MS Word spell check with a free version to add to your browser. As a browser add-in, it checks automatically for critical spelling and grammar mistakes (advanced ones cost a monthly fee) everywhere you write except situations where you’d really want extra spell check such as Google Docs and can be wonky with WordPress. You can always copy and paste into the Grammarly window, but at that point, you’re probably better doing spell check in MS Word. There are also only two versions of English available, American and British (take that Australia!). If you are trying to learn English and want instantaneous feedback while writing on the internet, or studying for high school standardized tests, or perhaps a frequent YouTube commenter in need of a quick check before posting, then Grammarly is for you. For most people at Scholarly Commons, this is a plugin they can skip, though I can’t speak for the paid version which is supposed to be a little bit better. If you uninstall the app they try to guilt trip you, so heads up. SpellCheckPlus: It’s BonPatron in English! Brought to you by Nadaclair Language Technologies, this web-based text editor goes beyond MS Word’s spellcheck to help identify grammar errors and ways to make your writing sound more normal to a native (Canadian) English speaker. There is a version that costs money but if you don’t import more than the allotted 250 words of text at one time you will be fine using the free version. Let us know what you think and any tools we may have missed! Happy writing! Slideshows are serious business, and bad slides can kill. Many books, including the one I will review today, discuss the role that Morton Thiokol’s poorly designed and overly complicated slides about the Challenger O-rings played in why the shuttle was allowed to launch despite its flaws. PowerPoint has become the default presentation style in a wide range of fields — regardless of whether or not that is a good idea, see the 2014 Slate article “PowerPointLess” by Rebecca Schuman. With all that being said, in order to learn a bit more about how to present, I read The Craft of Scientific Presentations by Michael Alley, an engineering communications professor at Penn State. For any presentation: know your topic well, be very prepared, and actually practice giving your talk more than you do anything else (such as making slides). But like any skill, the key is practice practice practice! For the most part, this book is a great review of the common sense advice that’s easy to forget when you are standing in front of a large audience with everyone looking at you expectantly. The author also offers a lot of great critiques of the default presentations you can churn out with PowerPoint and of PowerPoint itself. PowerPoint has the advantage of being the most common type of slideshow presentation software, though alternatives exist and have been discussed in depth elsewhere on the blog and in university resources. Alley introduces the Assertion-Evidence approach in which you reach people through presenting your research as memes images with text statement overlay. Specifically, you use one sentence summaries and replace bullet points with visualizations. Also you have to keep in account Murphy’s Law, where slide color or a standard font not being supported can throw off a presentation. Since Murphy’s Law does not disappear when you create a presentation around visuals, especially custom-made images and video, you may need more preparation time for this style of presentation. Creating visualizations and one sentence summaries as well as practicing your speech to prepare for these things not working is a great strategy for preparing for a research talk. One interesting thing to think about is if Alley admits that less tested methods like TED (Technology-Entertainment-Design) and pecha kucha work for effective presentations, how much of the success of this method has to do with people caring and putting time into their presentation than a change in presentation style? Overall this book was a good review of public speaking advice specifically targeted towards a science and engineering audience and hopefully will get people taking more time and thinking more about their presentations. For science specific, the definitely check out our new science communication certificate through the 21st Century Scientists Working Group and the Center for Innovation in Teaching and Learning. They offer a variety of workshops and opportunities for students develop their skills as science communicators. There’s also science communication workshops throughout the country over the summer. If you have time join a speech or debate team (Mock Trial or parliamentary style debate in particular) it’s the best way to learn how to speak extemporaneously, answer hostile questions on the fly, and get coaching and feedback on what you need to work on. If you’re feeling really bold, performing improv comedy can help with these skills as well. Hope this helps, and good luck with your research presentations! Join us on Thursday, April 20th 2017, 4 to 5 p.m. in 106 Main Library for an insightful discussion on various opportunities and avenues for publishing here at Illinois! One important step to having a good online scholarly presence is to have your own professional website. Weebly is a fairly easy to use and free content management system that you can use to create a customized page for yourself or a team. It is one of the website builders supported by the iSchool, which you can find more information about at this link. Step 1) Login to Weebly either by creating a new Weebly account or linking to a Facebook or Gmail account. If this is a professional website think very carefully about whether or not you want this in any way connected to your Facebook (after all, future employers don’t care how much fun you had during spring break or want to see those conspiracy theory articles your uncle keeps sharing). Step 2) Choose a theme! 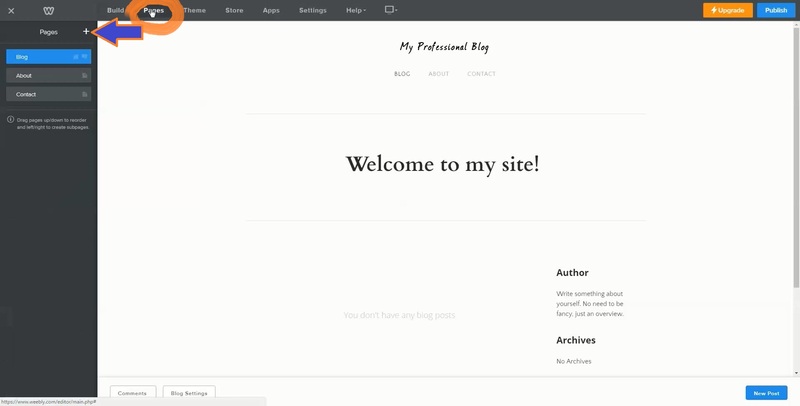 There used to be a lot more themes available on Weebly but those days are over. You have a couple options for very basic themes that with the addition of some images will help you instantly create a classy portfolio page, and any theme is fair game, though the ones under “Portfolio” and “Personal” and “Blog” are more suited for creating a professional website. 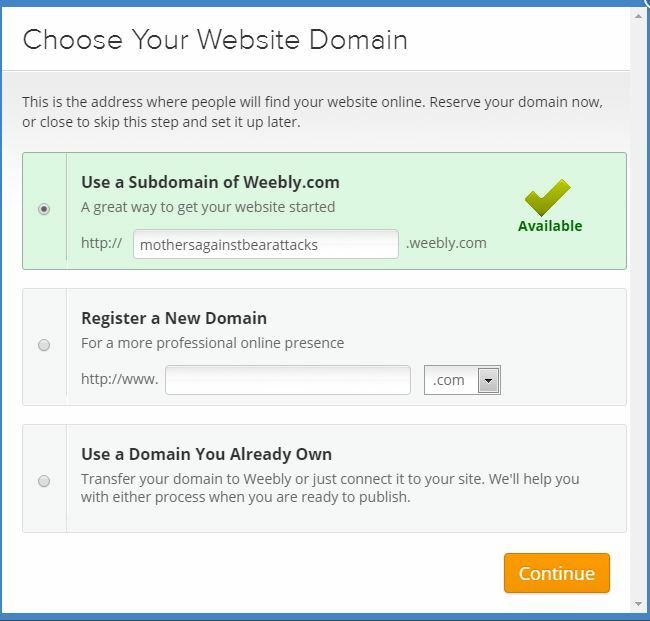 Step 3) You will be prompted to choose your web domain. You can have a free dot weebly site. Try to get some variation on your name as your website, you can also use the name of your company or organization. Note: as of writing (23 Jan. 2017) this Weebly domain name is still available! However, if this is too much pressure for now you can start creating your site and won’t have to really settle down on a name until you publish the site. 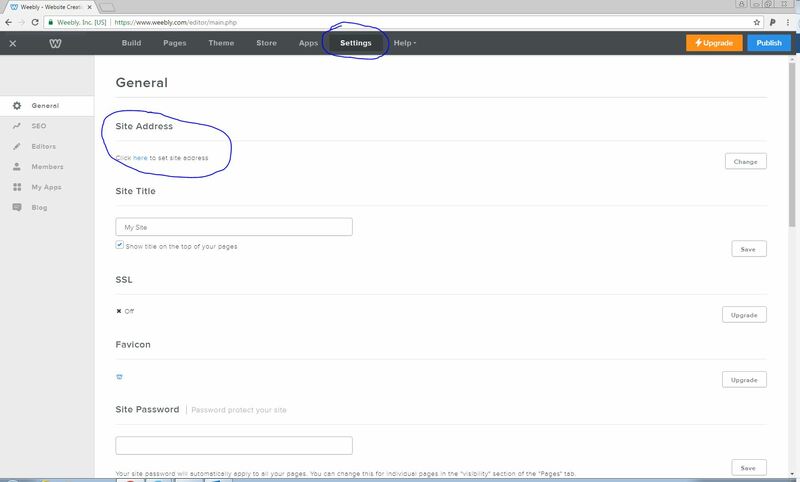 Step 5) Customizing Pages. For simple edits, simply click on what you want to replace and add new content. To add new content, there’s a sidebar full of options! Even more if you add apps to your site or pay for Weebly. 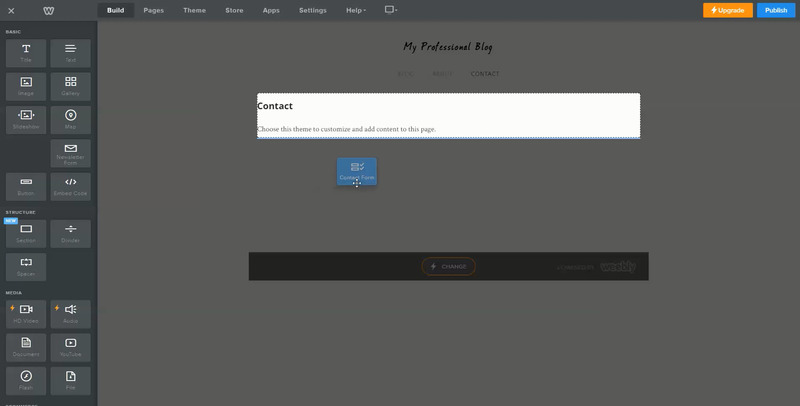 Simply drag and drop and arrange the content types on your site. As an example, we’ll create a contact page. If you want people to reach out to you it’s great to have a page where they can do that. We do not recommend writing your email out on pages because that’s a good way for spambots to find you. 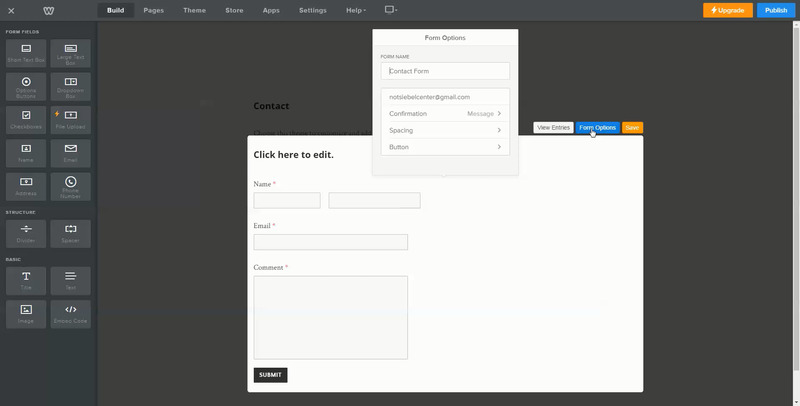 However, Weebly makes it easy to add a contact form: simply Click “Build” and drag and drop the contact form. If you have a physical location where you tend to be such as an office (lucky you!) or a coffee shop that pretty much is your office, then you can add a Google map as well to show people what building it is in. Though if your office is in the Armory (or certain parts of Main Library for that matter) you should probably include more specific instructions so that people don’t spend years trying to find it. You can also link your LinkedIn profile to your site by dragging and dropping that icon as well. And don’t forget to include your ORCID, (if you haven’t created one yet, we suggest you check out this ORCID information)! Of course, your professional website should include at least one picture of you in a professional setting. Weebly has a number of stock images you can choose from that can look very nice. But what if you want something a bit more customized? For your professional website, make sure that you have proper permissions for any images that you use! Copyright infringement is very unprofessional. To learn more about finding copyright friendly stock images check out the Finding and Using Images LibGuide. And please feel free to take a look at our Scholarly Commons copyright resources. For more specific questions, you can reach out to Assistant Professor & Copyright Librarian Sara Benson. Still confused about Online Scholarly Presence? We have not one but TWO LibGuides to help you understand: Online Scholarly Presence Seminar and Create & Manage an Online Scholarly Presence. Here is a video from a few years ago explaining more in general about creating a professional website, hosted by the University of Illinois. 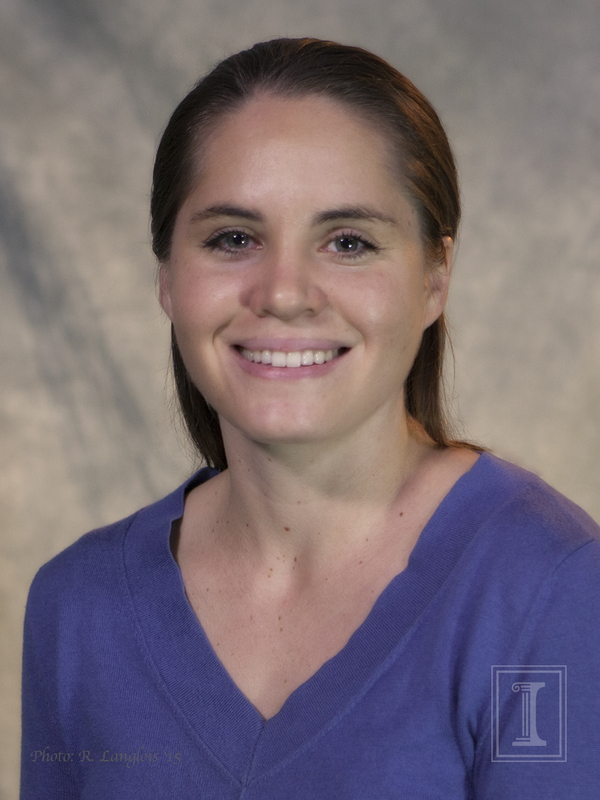 This latest installment in our series of interviews with Scholarly Commons experts and affiliates features Eleanor Dickson, the Visiting HathiTrust Research Center Digital Humanities Specialist. What is your background education and work experience? What led you to this field? I have a B.A. in English and History with a minor in Italian studies. As an undergraduate I worked at a library which was a really fun experience. I also took an archival research trip to Florida for my undergraduate thesis research and realized I wanted to do what the archivist was doing. I have a Masters in Science in Information Studies from the University of Texas at Austin, and completed a postgraduate fellowship at the university archives / Emory Center for Digital Scholarship. And now I’m here! I research scholarly practice in humanities and digital scholarship, specifically digital humanities with a focus on the needs and practices in large scale text analysis.I also sometimes help with the development of train the trainer curriculum for librarians so librarians can be better equipped with the skills needed to teach patrons about their options when it comes to digital scholarship. My favorite work-related duties are talking to researchers and hearing about what they are up to. I am fascinated by the different processes, methods, and resources they’re using. With HathiTrust I get to talk to researchers across the country about text analysis projects. I wish more people came to the Digital Humanities Savvy Researcher workshops. If people have suggestions for what they want to see PLEASE LET US KNOW. Debates in Digital Humanities, which is an open access book available free online! Need assistance with a Digital Humanities project? E-mail Eleanor Dickson or the Scholarly Commons.